Many people – including celebrities, actors, sport stars and captains of industry — underestimate the damage that non-injury Los Angeles DUI arrests can do to their careers. Even if you didn’t hurt anybody — and you likely won’t be charged with a felony per California Vehicle Code Section 23153 (the injury DUI section) — you may still have to face nominal jail time as well as other inconveniences, like probation, license suspension, community service, etcetera. But if you have enough resources, those punishments may not feel like much. After all, if you have millions of dollars, a thousand dollar fine won’t make much of a dent in your pocketbook. If you have a limo service, losing your license won’t be a game changed, necessarily, although it still could be quite inconvenient. But DUIs can have repercussions that go far beyond the legal penalties. To wit, witness the stunning turn of events for Olympian Michael Phelps – the most gold-medal-decorated athlete in the Olympic history – who found himself under arrest for DUI in Baltimore two weeks ago, after police stopped him for driving 80+ miles per hour in a 45 mile per hour zone and weaving across lanes. Phelps allegedly behaved in a gentlemanly fashion and cooperated with officers. He even took to Twitter and apologized to his fans around the world. But that was not good enough for USA Swimming, the official governing body of his sport, which suspended Phelps for six months from competing. That means that he won’t be able to represent the U.S. during the FINA World Championships next year. Now, Phelps obviously has accrued tremendous wealth and prestige – and he had intimated previously that he wanted to retire from his sport. 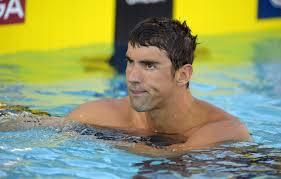 But USA Swimming dealt a very vigorous blow to its most well known athlete. If a DUI could end Phelps’ career, what could it do to your? To defend yourself from the scary consequences of a DUI charge, contact an experienced former prosecutor with the Kraut Law Group today to schedule a free consultation. Call a Los Angeles DUI defense lawyer immediately to protect and preserve your rights.